"I brought Wii as gift for my kid. What disappoints me is that it cannot play any other DVDs expect Nintendo DVD games. Is there a way to play DVD movies on Wii?" Serving as a home video game console, Nintendo Wii has a DVD drive for games but not for other DVDs, like movies, TV shows and so on, troubling owners who would like to enjoy favorite films or programs on Wii. If you are seeking for a solution of how to play DVD movies/TV shows on Wii, this tutorial will be helpful. 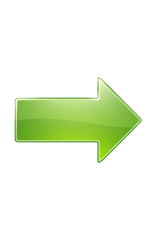 Quickly convert any DVD movies/TV shows to MP4, AVI, MOV, videos compatible with Wii with high quality. Actually, Nintendo Wii enables users to play movies in particular formats. Substitute to play DVD movies directly, it is a good choice to rip DVD movies to Wii. However, it is so convenient to manage them on Wii as on smartphones and tablets. Firstly, you should know where to get movies and then learn which formats are supported. Nintendo Wii classifies available applications into different channels and collects them in Wii Menu. Photo Channel, one of built-in channels of Wii, is the essential part for playing DVD movies on Wii, which is used to display, share and manage photos/movies/videos/audio with Wii console through a SD card. 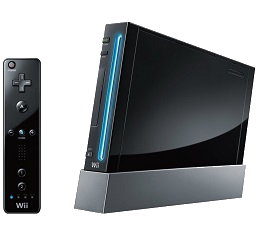 Videos in AVI, MOV (QuickTime) or MPEG-4 format with a resolution of up to 848x480 can be supported by Nintendo Wii. Depending on version of Photo Channel, the compatible audio formats are quite different, MP3 for version 1.0 and alternative AAC (file extension .m4a) for version 1.1. After being aware of the above information, please follow the step-by-step guide to play DVD movies on Wii. 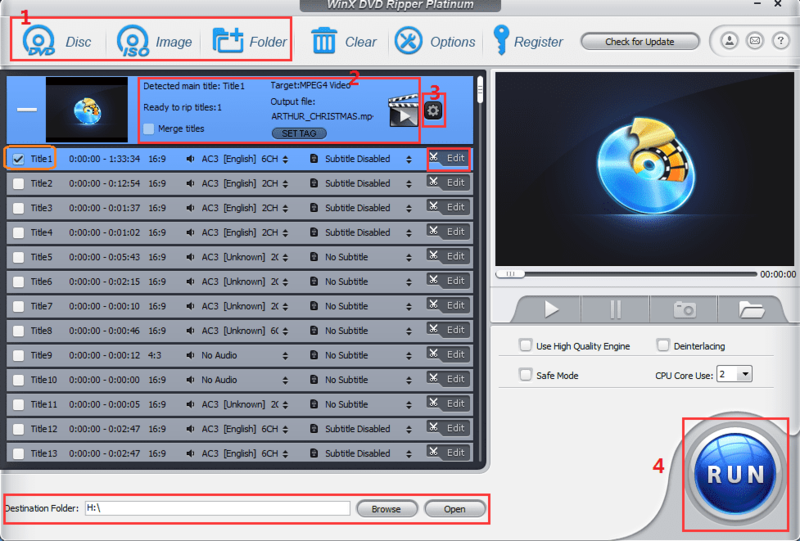 * A DVD to Wii ripper (to convert AVI, MOV or MPEG-4 with audio of MP3 or AAC format supported formats by Wii), for example WinX DVD Ripper Platinum, a professional DVD ripper, which is aiming to rip any DVD movies, both homemade and copy-protected commercial DVDs, to videos in formats AVI, MP4, MOV, WMV, MPEG etc, at ultrafast speed and deliver possible highest quality for a better playback effect. 1. Place SD card into your computer and insert DVD to DVD-ROM. Open WinX DVD Ripper Platinum and hit DVD Disc to import your DVD movie. Certainly, you can select ISO image or VIDEO_TS Folder as movie source. 2. DVD will be quickly loaded with main title checked and popped-up Output Profile windows. Get General Profiles from category and select MPEG4 Video with codec MPEG-4 + MP3. 3. Adjust video resolution suitable for Wii specs (848 x 480) by hitting setting button. And, the Edit icon placed at the right of title bar enables you to crop, trim and add subtitles for movie. 4. Click Browse button to set the destination folder as SD Card and hit RUN button. Insert SD card into Wii and go to Photo Channel to access the movie you rip from DVD. Use controller to press Play button and watch DVD movies on your Nintendo Wii. • Convert DVDs to devices, like iPhone, iPad, Apple TV, Samsung, Huawei, Xbox, PS3/4 and so on with original quality. • 1:1 back up DVD disc to ISO Image, VIDEO_TS folder or MPEG2 file with main or full title. • Adjust parameters (bitrate/framerate/resolution/aspect ratio etc.) and edit DVD videos (crop/trim/add subtitle). DVD Will Not Play on PC Computer – Why and How to Fix It?